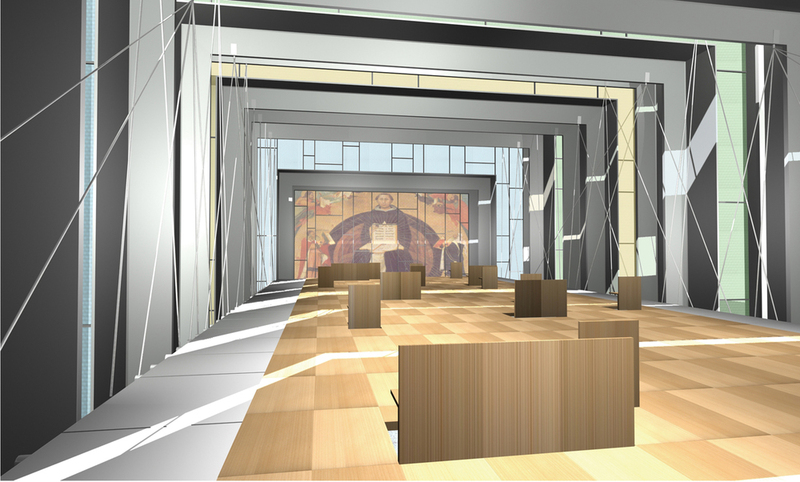 This project for an interfaith chapel explores the interface between different religious communities and their physical environment. The design investigates the use of off-the-shelf structural elements (precast concrete tees and planks) to create a quickly assembled and economical worship space. A typical suburban “big box” retailer parking lot serves as the testing ground for an investigation into contemporary spiritual culture: a prototypical interfaith sacred space to promote religious understanding and intercultural dialogue in the increasingly heterogeneous suburban environment. Built entirely from precast structural components typical of its milieu, the project attempts to ennoble a building system hitherto relegated to commercial/industrial uses.